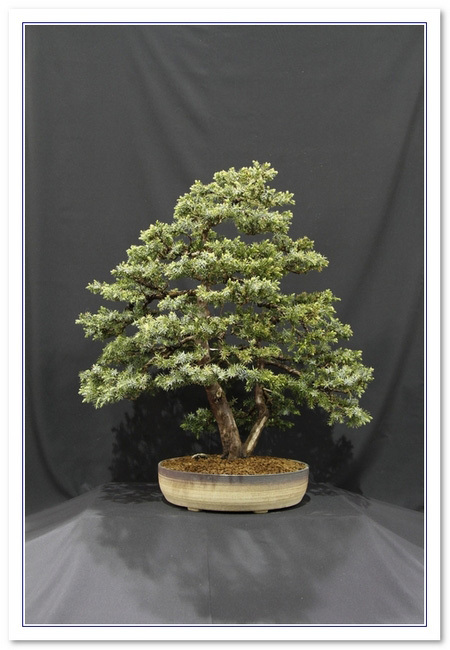 The Bonsai A to Z section of the website has attracted more than one million page views and has moved past 1000 entries since May 2013. 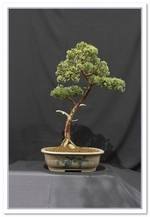 Our newest subsection within that - The Glossary of Bonsai Terms contains a cut down version of every bonsai term with links into each entry. We woulkd like to add foreign language sections to the Bonsai A to Z so if you would like to participate then please get in touch. 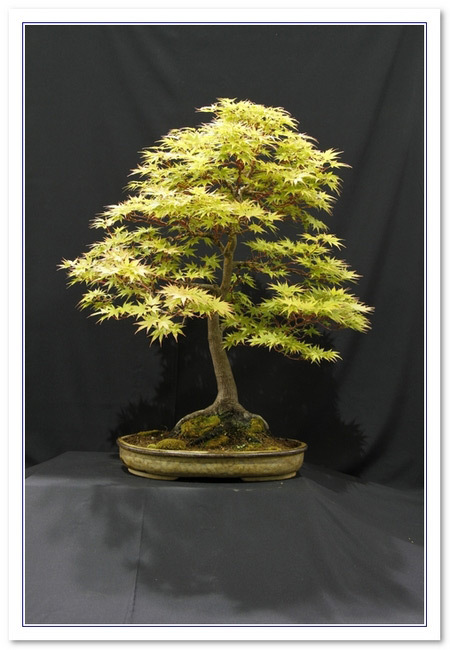 Non members can join our Bonsai Event Mailing List if you would like to be kept up to date with Scottish Bonsai Events - it is free. This year, in addition to the usual club displays, the area available for individual displays will be increased by 50%, the number of traders will increase to seven and we will have talks from visiting experts. This represents a significant effort by the Association to enhance the display and increase the profile of the hobby. We hope that all members will support the open display by entering trees in the open section. 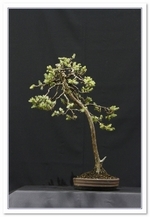 Details of entries need to be mailed to president@scottishbonsai.org by mid April ( the entry process will be advised by direct mailing to all members). Clubs will have access for set-up at 08.00. The doors will open to the public at 11.00 The exhibition will close at 16.00 and the building should be vacated by 17.00. Entrance is free to SBA members, £2 for non-members, £1 for seniors and free for accompanied children under 12. This is the SBA’s set-piece event of the year where members get to meet and discuss with other members and to publicise the hobby to interested members of the public. Please help make it a success by entering some of your trees in the exhibits. Smith Art Gallery & Museum, Stirling. Back by popular demand, Corin will give a presentation which at the moment is set to include a styling demonstration and a group potting demonstration along with a review of members trees. 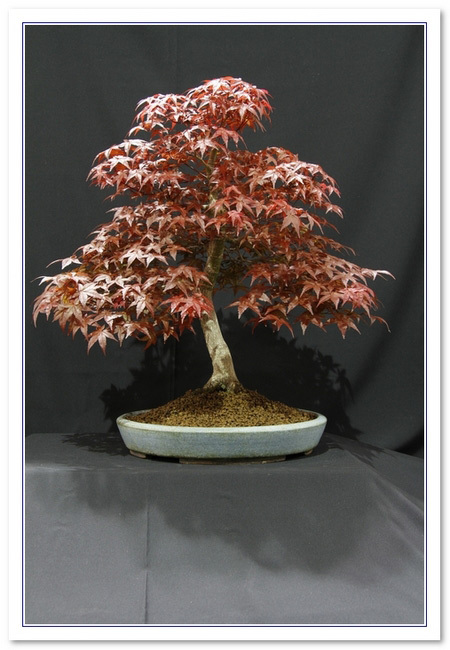 Entrance to the event is by ticket only and these are available from club conveners or by contacting president@scottishbonsai.org. The price of entry is £15 for SBA members and £20 for non-members and this includes a buffet lunch provided by the on-site cafeteria. The feedback from his visit last year was very positive so you can expect an enjoyable and interesting day. Workshop places are full but observers are welcome, £5 per member with lunch and refreshments. To be held at: Almond Valley Heritage Trust, Millfield, Livingston. Robert Porch will be visiting West Lothian Club Night on Thursday 28th February to do a presentation. 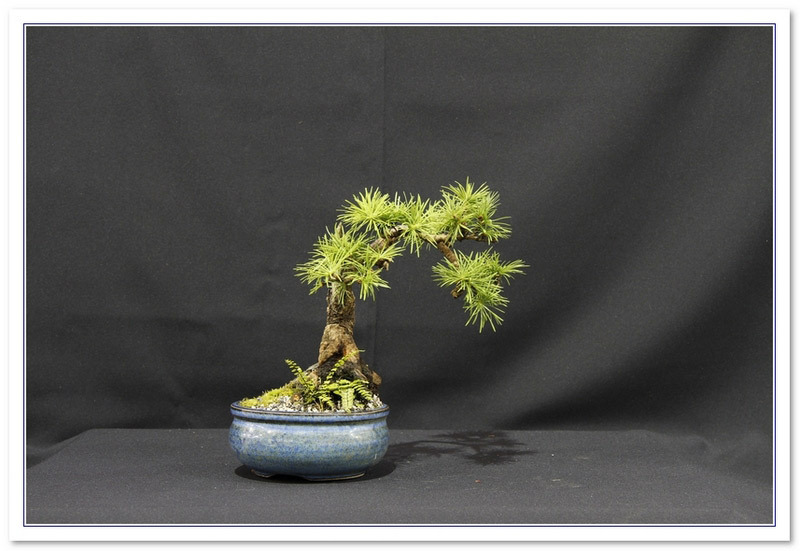 First half approx will be talking about repotting, soils, and matching trees to pots.For the second half, he will be looking at the trees West Lothian Club members bring along, and maybe doing a wee bit styling/giving advice/critiques as well on them. He will be bringing along some trees pots and incidentals to sell as well. He does not take credit cards. Robert is always interesting, and you can learn a lot even if he is discussing someone else’s tree. Fees are £4, and includes tea, coffee biscuits. All welcome, even if not West Lothian members. Please park in the main car park – not on the street as local householders get a bit put out. An opportunity to display trees in their winter garb exposing their underlying structure as well as their winter colouring. All members are welcome to bring trees to display or even just to come and browse other members' trees. Registration followed by AGM and Forum. There will be talks, lunch and stalls to view. Full details will be emailed to all members including registration form. All welcome to the open day of the 30th anniversary of the Collection, housed in the beautiful gardens of Binny Plants near Uphall, the trustees will be on hand to welcome visitors to view the collection and have a chat with like minded folks, raffle, some raw material for sale also food and drinks provided. On the B8046 between Oatridge golf course and Oatridge college, (sat nav my not work as Binny Plants are on a private road). Contact Margaret for directions. Informal workshop, come along, bring a tree and work on it in a stress free environment. On Sunday 29th July Corin Tomlinson will lead a hands-on workshop in Alloway Village Hall, Ayr. The price is £25 payable on the day. Corin Tomlinson will visit Scotland on 28th and 29th July. On Saturday 28th at The Stirling Smith Art Gallery and Museum, Dumbarton Road, Stirling FK8 2RQ, he will give a presentation and lead a discussion on various aspects of the hobby. Entrance to the event is by ticket only and these are available from club conveners or by contacting president@scottishbonsai.org. The price of entry is £15 for SBA members and £20 for non-members and this includes a buffet lunch provided by the on-site cafeteria. 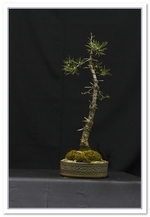 Corin is a well known and well respected figure in British bonsai circles. 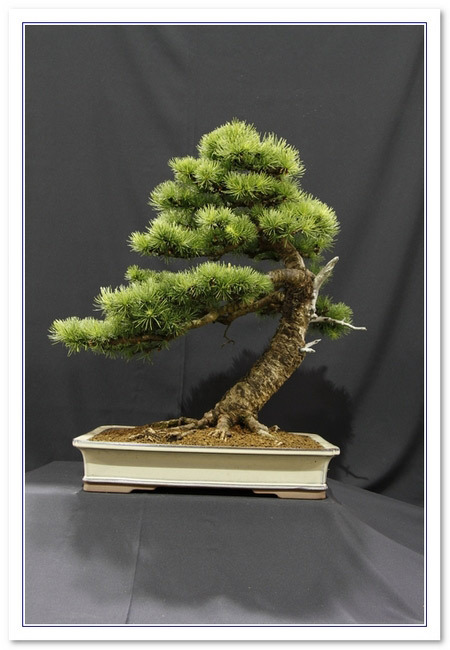 After qualifying in horticulture in the UK, Corin spent 4 years in the US studying and teaching at The International Bonsai Arboretum in Rochester New York with Wm. N. Valavanis. 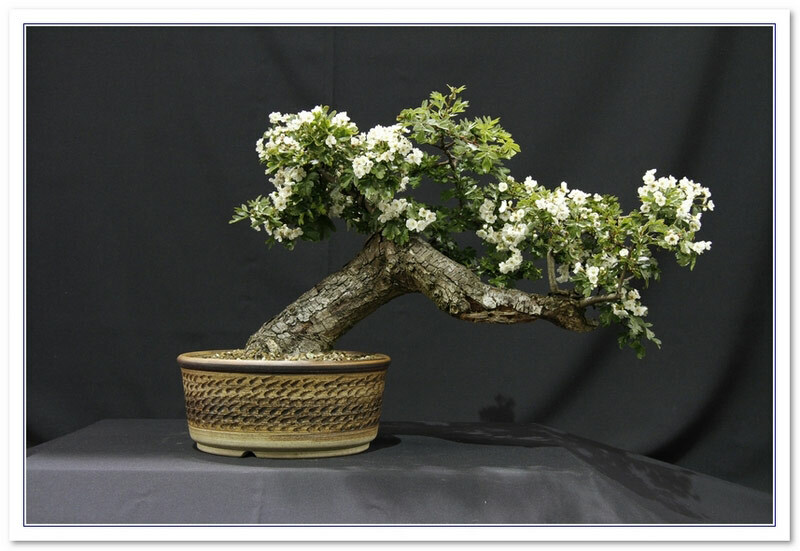 Subsequently he spent time studying with Chase Rosade at his bonsai studio in New Hope, Pennsylvannia, and at many one-to-one workshops under Yuji Yoshimura, the founder of Bonsai in the USA. 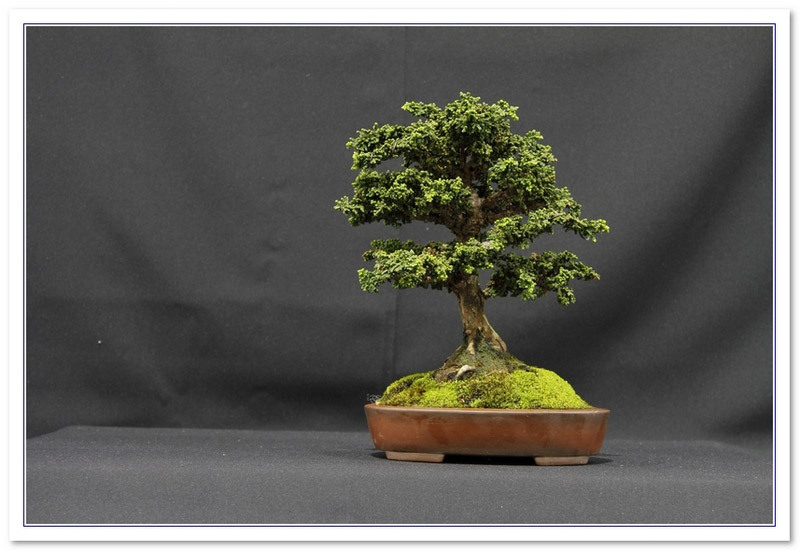 In recent years he worked with his father, the late Harry Tomlinson at Greenwood Bonsai Studio in Nottingham also spending time demonstrating the skills and artistry learnt over a 20 year period in the hobby at conventions, clubs and shows in both the US and the UK. 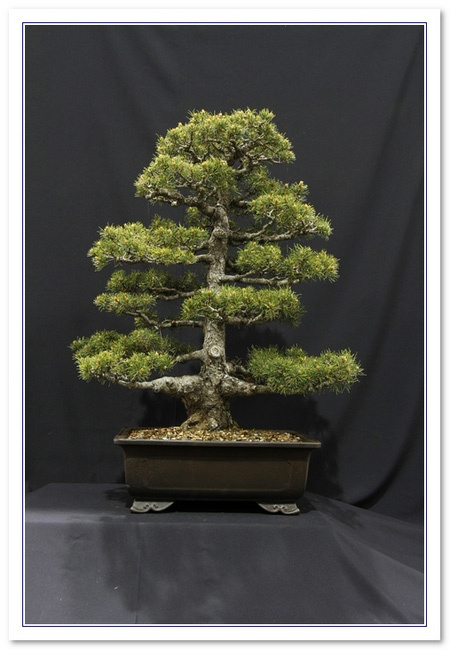 Corin is also curator of The National Bonsai Collection housed at The Royal Botanical Gardens in Birmingham. Come along, bring a tree and work away in a stress free environment. This year will be an expanded event with the normal club stands supported by a separate “open display” designed to enable country members, invited non-members and also any members who have more trees that they would like to display than can be accommodated on their club stand. This represents a significant effort by the Association to enhance the display and increase the profile of the hobby. We hope that all members will support the open display by bringing along trees for this section. Clubs will have access for set-up at 08.00. The doors will open to the public at 10.00 The exhibition will close at 16.00 and the building should be vacated by 17.00. There will be four traders attending selling trees, pots and associated bonsai supplies and lunches and snacks will also be on sale. Entrance is free to SBA members, £2 for non-members, £1 for seniors and free for children under 12. 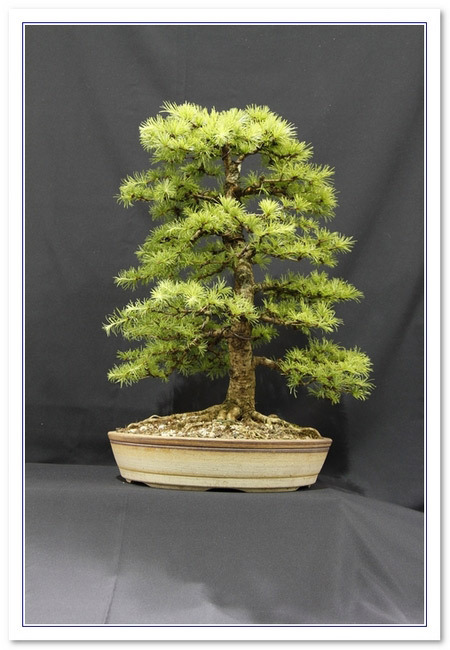 This is the SBA’s set-piece event of the year where all the members will have a chance to exhibit some of their best trees, to meet and discuss with other members and to publicise the hobby to interested members of the public. 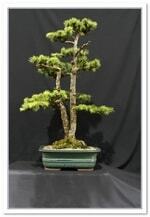 Ayrshire Bonsai Club are delighted to repeat last year's display of Bonsai trees at McLaren's Nursery. There will also be demos of trees being worked on throughout the day. A 10% discount applies to all SBA members on any plant material from the nursery on showing your SBA membership card. All interested parties welcome to attend. Coffee machine available. 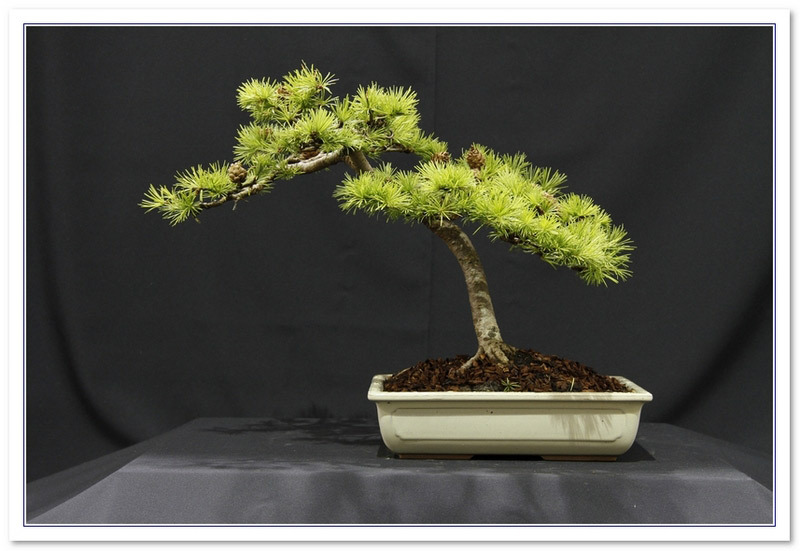 This is being held at Shaftsbury Bowling and Recreation Club, Downing Memorial Park, 20a Annadale Avenue, Belfast Bonsai demo with questions and answers throughout. Entry £25. The Japanese Consul General, Mr Matsunaga will be joining us, we usually have wine and nibbles, some tree sales and a raffle so come along and enjoy a nice day out. This 2-day local flower show replaces the old Ayr Flower Show, the cancellation of which was announced in March this year. It will be a mainly horticultural show with related traders. It will not include many of the food, charity and and ancillary sales activities which were part of the old show. It has been put together with very short notice and very little resource in an effort to keep this part of Ayr's heritage alive. 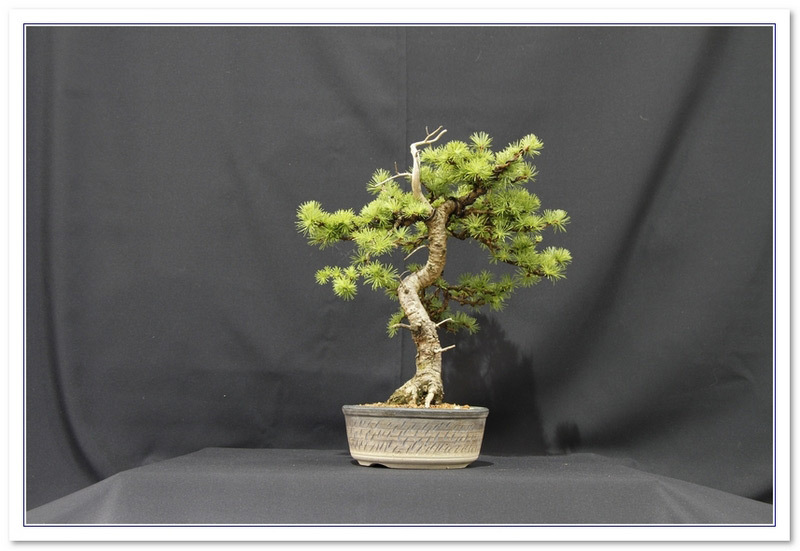 However, it will include bonsai, represented by the Ayrshire Group and also by Wattston Bonsai. In addition there is a new pot maker on the scene who may be worth looking out for. The £5 entry fee reflects its smaller and more focused content but, with a programme of entertainment included, it will be well worth a visit. Gardening Scotland will be held on 2nd, 3rd & 4th June. 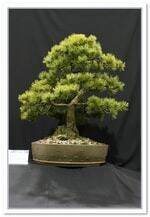 It would be good to see as many members' trees in the Competition Classes as possible. You can bring your trees along on Wednesday 31st May. If you enter a tree/s and are willing to do a stint on one of the stands you will receive a free day ticket for each day you are able to be there to participate. On Saturday 29th April the Ayrshire Group will be putting on a display and demonstration at McLarens Nursery (Lochlibo Rd, Uplawmoor, Glasgow G78 4DN – Google map attached) which is about 10-15 minutes south west of the Barrhead/Newton Mearns area of Glasgow. This will last from 10.00 to 16.00 and , in addition to the display the owners have agreed that anyone presenting their SBA membership card will receive a 10% discount on any purchases on the day. For those who have not been to McLarens it is a huge commercial nursery with lots of trees suitable for development as bonsai so why not go along and take a look. Forth Valley's Workshop weekend. Cost is £20.00 including lunch and other refreshments per person per day. Places are filling up fast so anyone interested will be included on a first come first served basis. Observers can join us for £4.50 per person per day, this also includes lunch etc. We have what has become an annual event, The Dig at Flanders Moss where we go along and collect trees to help return the moss to it's original condition. Start time is 11.00 am until you have had enough. Bring your own refreshments as the nearest cafe is a mile or so away. For our March meeting, we have Robert Porch coming as our guest speaker. Members from other clubs very welcome as always. £4 gets you an evening benefitting from Robert's expertise, as well as tea/coffee and biccies. Nothing on the telly, so come along. The Ayrshire Group will host our fourth annual Winter Image Display. All S.B.A. 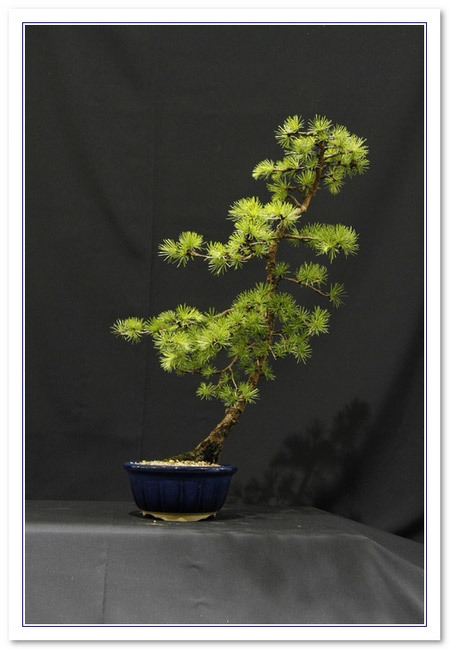 members are invited to attend and display their trees. This is the one chance we have in the year to share our winter images amongst ourselves and with interested members of the public so we are hoping for good participation from all SBA members. Due to problems with our normal venue we have moved the event to The Savoy Park Hotel in Ayr. This has good facilities (similar in size to our normal venue), easy access and good parking. The hotel will also provide soup & sandwich and tea/coffee for guests. The plan is to start to bring in trees from 11.00 onwards. There is side access via Savoy Park so trees can be brought in without going via the main reception area. For members to buy and sell any bonsai-related items. Break from 2 till 4 for AGM. All items to be clearly labelled with seller's name and price. Some food available. Binny Plants, Ecclesmachan, W. Lothian. The Japanese Consul General will be attending the Open Day. 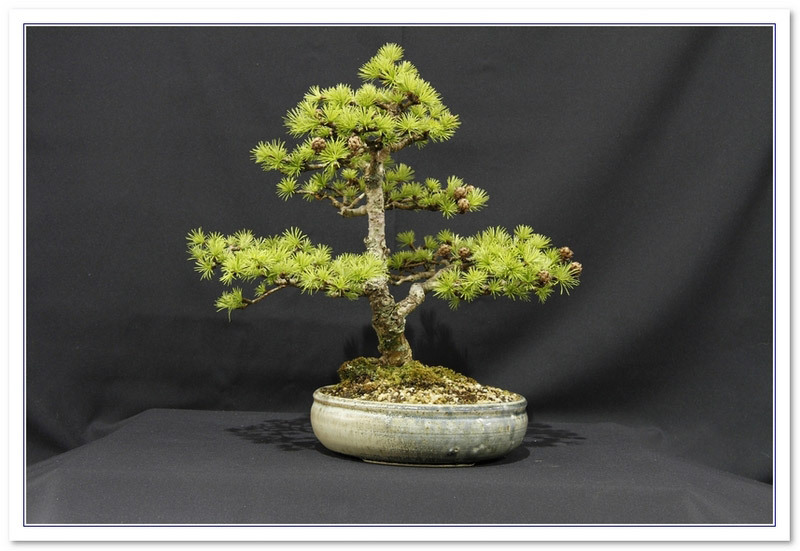 Ayrshire bonsai Group will be holding their annual open to the public day between 13.00 and 16.00 and hope that members will be able to come along and join us. Refreshments will be available and a workshop will be in progress throughout the day and some items will be on sale. All are welcome, so come along and have a blether with your Bonsai Pals. Just come along and work on your trees. Please note start time in Upper Hall is 11.00am. 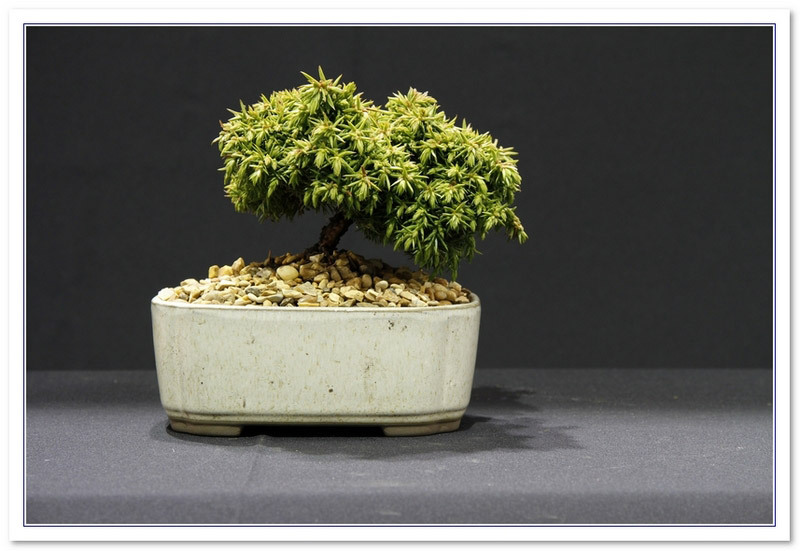 This year, the Fife Bonsai Society will be hosting a number of demonstrations throughout the day in the Lower Hall, and they have sponsored a number of Bonsai classes for all of you who may have a tree lurking around! Also, if you are new to the show, or are relatively new to growing, why not put your exhibits into the new NOVICE Section. If you are a little daunted by the open categories why not give this a go; enjoy it and see what happens. 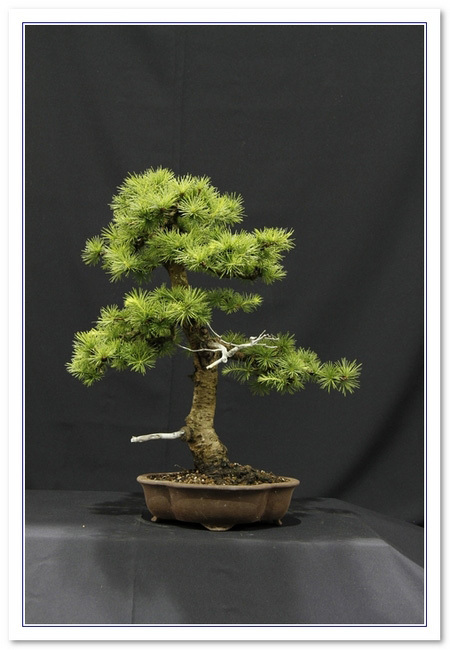 The Ayrshire Bonsai Group will occupy a significant area for both a club display and an extensive competition section. We invite all enthusiasts from Scotland and the North of England to consider entering the competition which is open to all comers – including novices. 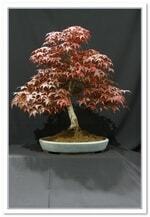 Up to 5 trees may be entered for a fee of £6 and any number above 6 for £11. Entrants are entitled to a free day pass worth £15. Also there are small money prizes of between £1 and £5 for 1st, 2nd and 3rd places. 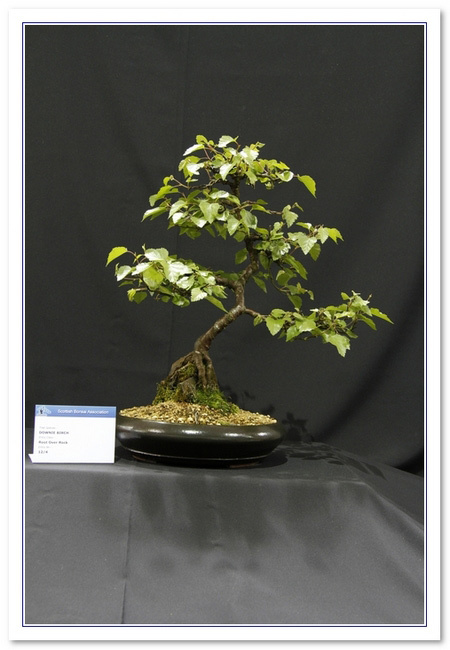 The Ayr Flower Show brochure (see P. 39 for Bonsai) and competition entry form can be downloaded at the Event URL. 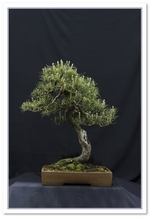 Alternatively you can use this extract from the brochure : http://www.scottishbonsai.org/files/Ayr%20Flower%20Show%200013.jpg Entry forms should be submitted by Friday 31st July. Thanks for your support. Added interest this year is that a former trader is coming down from Aberdeenshire with a quantity of his trees for sale at very good prices, I would urge all to take this chance to acquire some good material. 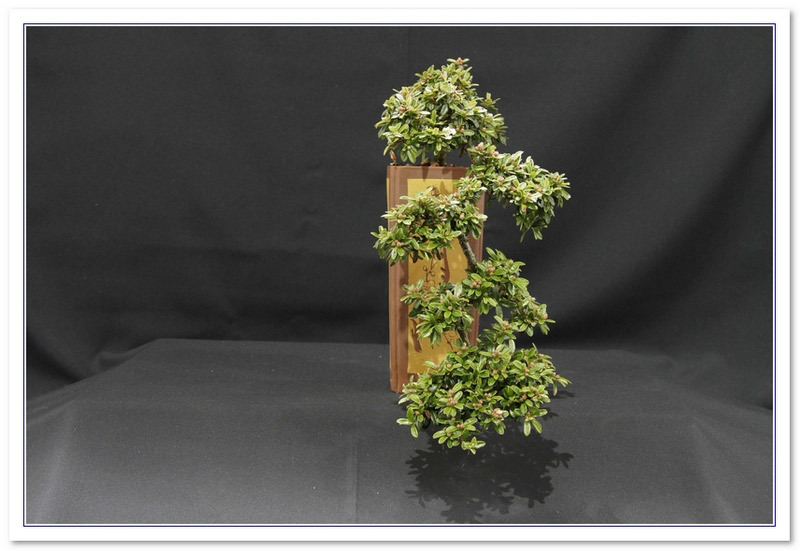 Scottish Bonsai Association members' bonsai trees from tiny to large on competition and display stands. Display of National collection bonsai, and several other bonsai stands and traders in the main hall. The trustees of the National Collection meet at Binnys on the last Sunday of the month to maintain the bonsai of the collection and the enclosure where the Bonsai are housed. 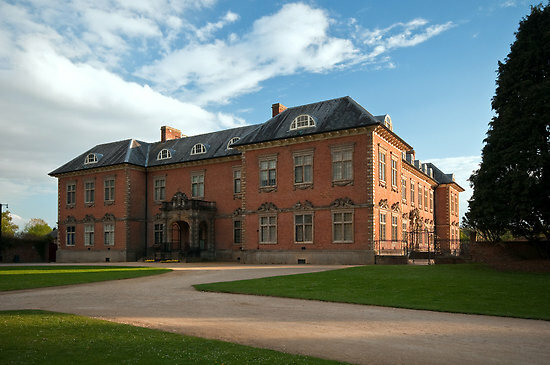 Members of the SBA and the general public are welcome to take a closer look, have the history explained and become involved in the care and maintenance of the collection. Outwith our regular monthly gathering volunteers for watering duty would be welcome. If interested in viewing the collection within business hours Binny Plants are open seven days a week. Peter Warren will visit Scotland for 3 days over the period 30 April to 2 May. On Saturday 30 April at The Stirling Smith Art Gallery and Museum, Dumbarton Road, Stirling FK8 2RQ, he will give a presentation and lead a discussion on various aspects of the hobby. Entrance to the event is by ticket only and these will be available on sale up until 19 April. The price of entry is £15 and this includes a buffet lunch provided by the on-site cafeteria. On Sunday 1 May Peter will lead a hands-on workshop in Alloway Village Hall, Ayr and on Monday 2 May he will lead a workshop in Fankerton Village Hall, Nr. Denny. 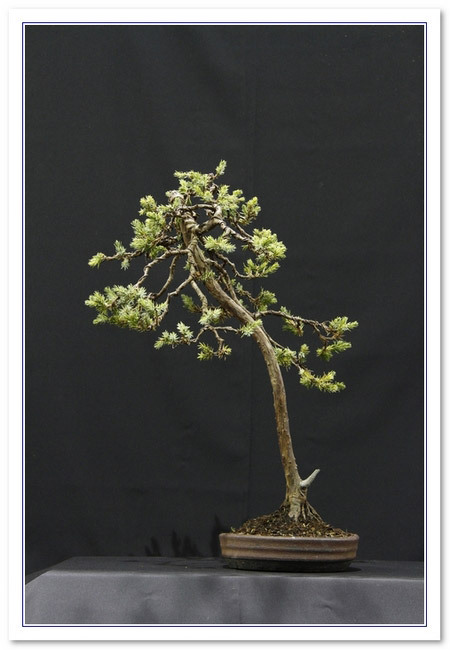 Peter Warren is an international renowned bonsai artist based in London who has spent six years as an apprentice to a Japanese bonsai master. 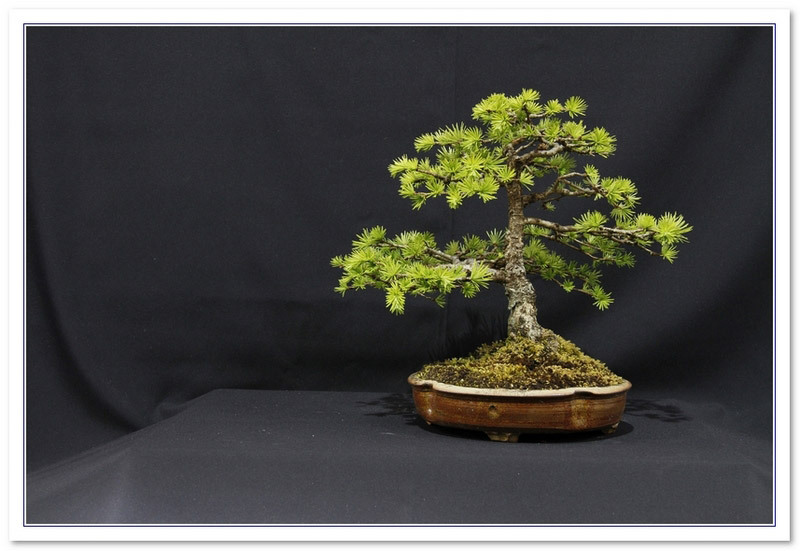 Since completing his studies Peter has travelled worldwide teaching and working with bonsai collectors and enthusiasts to bring the best of Japanese bonsai to the rest of the world, and his creations are exhibited at the highest level in Japan, the US and Europe. 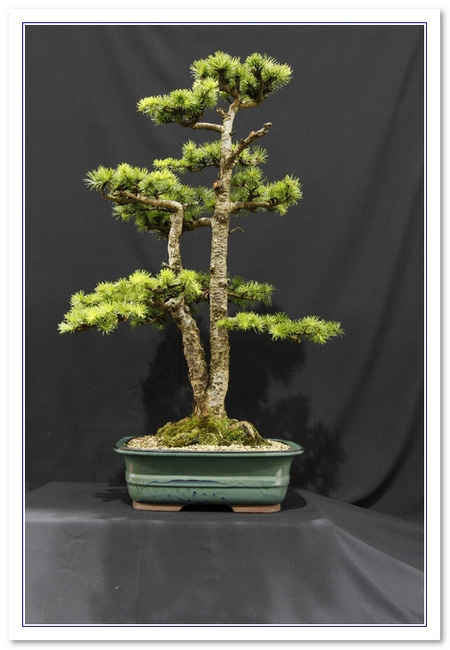 Articles by peter have been extensively featured in Bonsai Focus, Kinbon, Bonsai Sekkai and International Bonsai magazines and he has recent completed a book “Bonsai” published by DK Publishing. 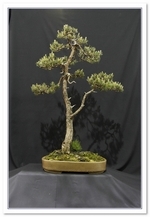 Come along and work on your trees, and chat to other bonsai enthusiasts. Tea and coffee provided, bring your own lunch. £3 for the session. 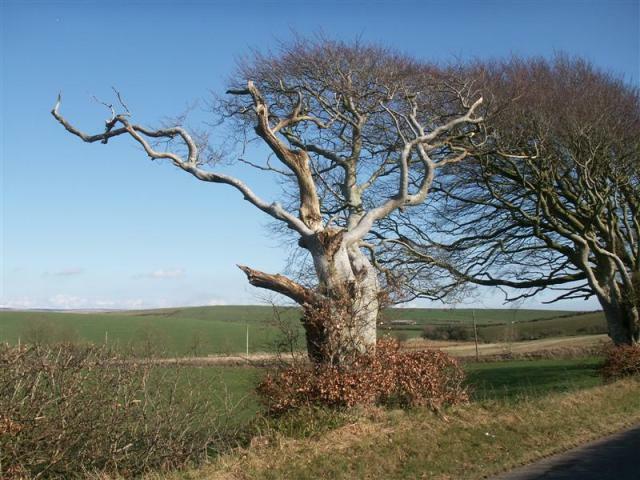 Tony Tickle will give a talk and demonstration on the development of some of his trees (native European Species), and a critique of some members' trees. 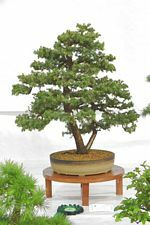 The critique will be time-limited, and Tony will choose trees from the bonsai or potensai which members bring on the day. So come along and bring a tree so we can put on a show of SBA potential, and maybe yours will be chosen. Tickets, at £10 for SBA members and £15 for non-members, on sale from your group convenor, or from Roy Smith or Margaret Macleod. The perfect opportunity to get bonsai trees, tools, wire, pots, consumables, stands and much more from the countries leading bonsai traders. Also featuring an exhibition of great trees. The SBA Lanarkshire group will be contributing a shohin display to defend the trophy they won at this event in 2014. 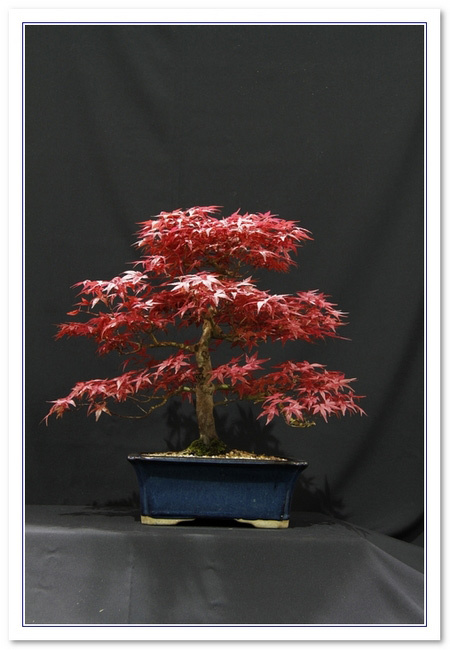 The Peter Foele Bonsai School invites you to its second exhibition 'Bonsai Projects'. 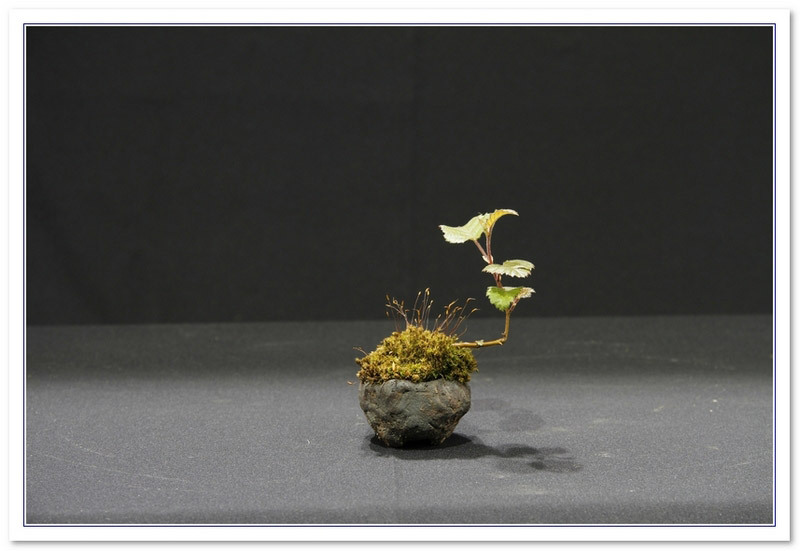 The exhibition will cover all stages from starting material to mature Bonsai. I will give a demonstration starting at 13.00 which will last for approximately 3 hours. 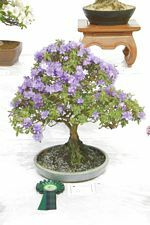 A distinctive approach to Classical Bonsai from 8 young artists from across Europe who are demonstrating, bringing trees to show etc. Milan Karpíšek: Czech Republic, Nik Rozman: Slovenia, Chris Verdel: Holland, Sandor Papp: Hungary, Dirk Dabringhausen: Germany, Bartosz Warwas: Poland, Andrew Campbell: UK, Ofer Grunwald: Israel. Also featuring an exhibition of great trees, including a shohin display by the SBA Lanarkshire group. 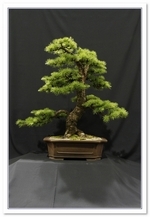 Come along and work on your trees, and chat to other bonsai enthusiasts. Tea and coffee provided, bring your own lunch. 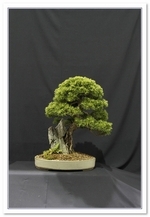 The Ayrshire Bonsai Group will occupy a significant area for both a club display and an extensive competition section. We invite all enthusiasts from Scotland and the North of England to consider entering the competition which is open to all comers. 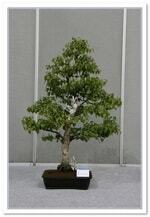 Up to 5 trees may be entered for a fee of £6 and any number above 6 for £11. Entrants are entitled to a free day pass worth £15. Also there are small money prizes of between £1 and £5 for 1st, 2nd and 3rd places. 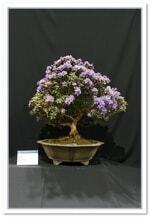 The Ayr Flower Show brochure (see P. 39 for Bonsai) and competition entry form can be downloaded at the Event URL. Entry forms should be submitted by Friday 31st July. Thanks for your support. This years exhibition will again take place at The Walker Hall in Troon on Sunday 17th May. We have secured the large concert hall so that all exhibitors and traders will be accommodated in one room. We have extended the display area that will be available for shohin displays and have added a new display area dedicated specifically to accent plants (so all you accent plant fans please bring along some of your collection). Each club will have a space equivalent to six trestle tables (6' x 2') arranged back to back in rows of three, so there is the option of having a backdrop between the two rows or of having a large open display. We have five traders attending so this should be an ideal opportunity to add to your tree collection, buy some new pots or stock up on other bonsai supplies. The exhibition will be open from 10.00 until 16.00 and exhibitors will have access from 08.30. The display tables will be set up by the hall janitors in advance ensuring maximum set-up time. As usual refreshments will be laid on by the Ayrshire Group. Detailed arrangements should be available from your convener. However, if there are any outstanding queries please contact either Douglas McEchrean on 07958145490 or Jeff Banning on 07799477895. Fankerton village hall, near Denny Open workshop led by Ian McDougall: friendly welcome, usually wide range of trees from beginners to experts, unique pots from Peter Kleboe and great food. Book your place with Roy, £20 per day of work or £4.50 for an observer. After previous years successful digs the SBA have been invited back to take more trees out of the ground (in a bid to return the moss to its original state!) at Scotlands National Nature Reserve in Flanders Moss. Some of the Yamadori are really high quality. Meet about 11 am at the Moss, details from Roy Smith. The Pathfoot Building and MacRobert arts centre of Stirling University are hosting a multicultural Japanese week of events with sessions about language, food, ceremonies, arts, music, bonsai, karate and cinema. There will be a Scottish Bonsai display of trees for the first 3 days. 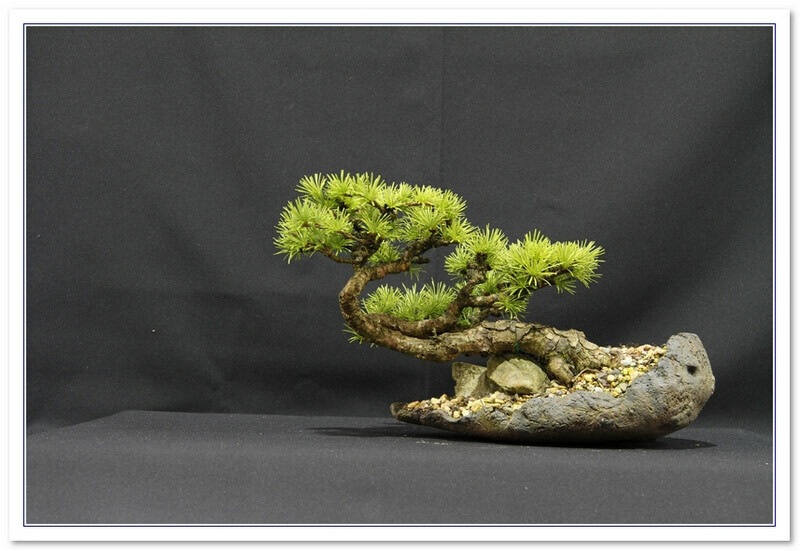 Free entry, open to all, see http://www.scottishbonsai.org/files/JapanWeek2015_leaflet.pdf for details. Following the success of the inaugural winter image display staged by the Ayrshire group, we have decided to open the event to all members and friends of the SBA in our usual meeting venue, so space is a little tight. Would anyone interested in participating give prior notice to Peter Thorne, by the 4th January at the latest. 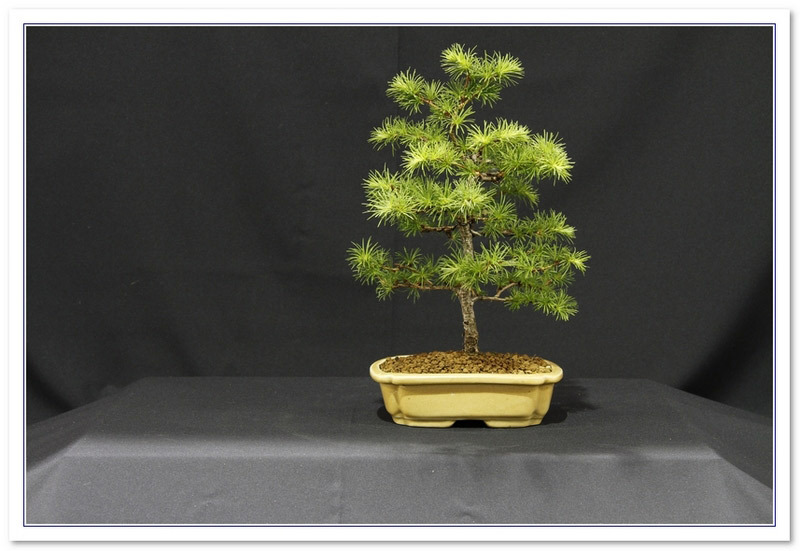 Exhibits will be accepted on a first come, first served basis, and will be limited to two trees, or one Shohin display stand, per person. Tables and table cloths will be provided by the organisers, but there will be no backcloths. Exhibitors will be allowed to bring tables and accent plants, and will be able to stage their trees between 1.00 and 1.30pm on the day. 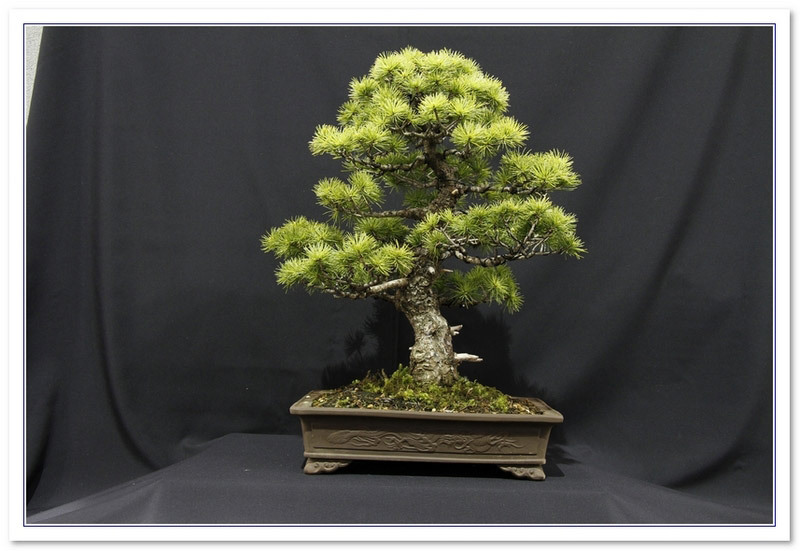 There will be no entry fee, no prizes, and no hassle â€“ just good â€œcracâ€ and bonsai fun. We do hope that you will be able to join us. Livingston Annual Flower Show where there is a table for a small number of Bonsai entries (since only a few turn up). 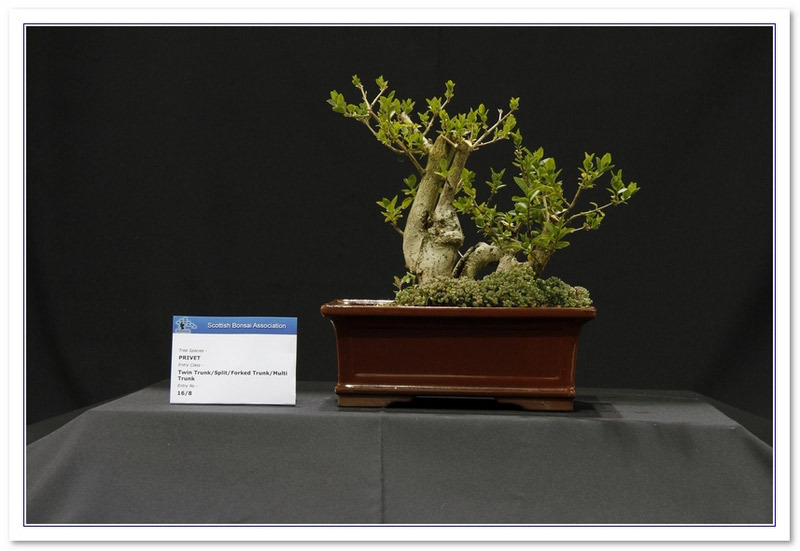 The West Lothian Group of the SBA support the flower show by entering a few bonsai trees and also doing demonstrations at a table outside of the main hall. 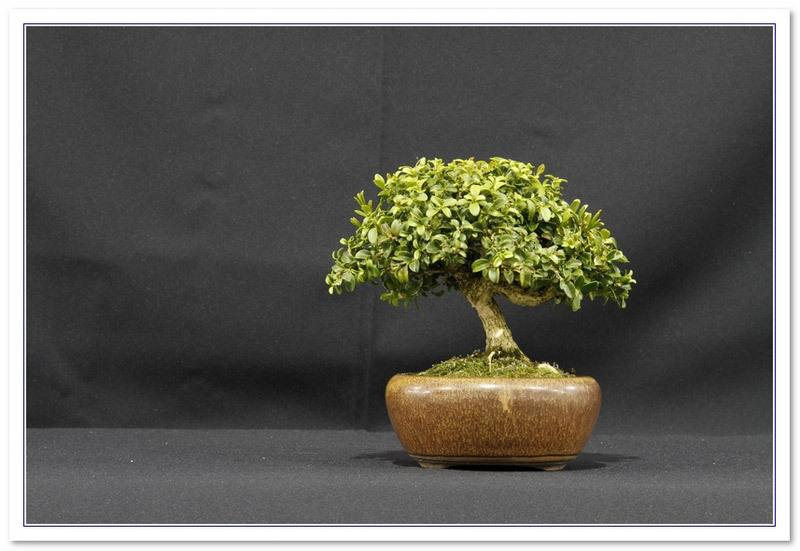 Non-members are welcome to enter their bonsai trees into the competition. Bonsai Classes at Ayr Flower show The Bonsai display at Ayr flower show continues to grow in scale and stature. All entries should be submitted to to Ayr Flower Show by Friday 15th August. Entry forms available from Ayr Flow Show office at 60 Dalblair Road, Ayr or online at http://www.ayrflowershow.org/trade. Exhibitor trees would need to be on site by Thursday 21st August, before 8pm. 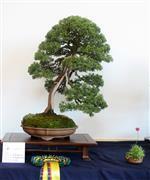 The Ayrshire Bonsai Group has supported the Ayr flower show for many years, by staging a large bonsai display. 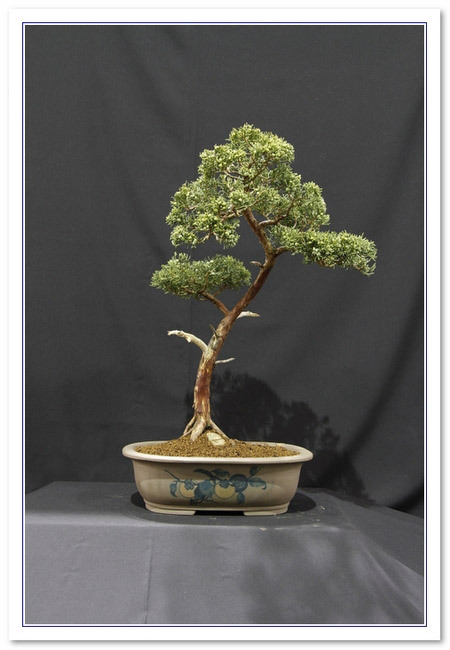 In 2010, a small group of SBA members, persuaded the organizers to introduce some bonsai classes, in which our trees could be displayed in the manner used at the bigger English and European shows. 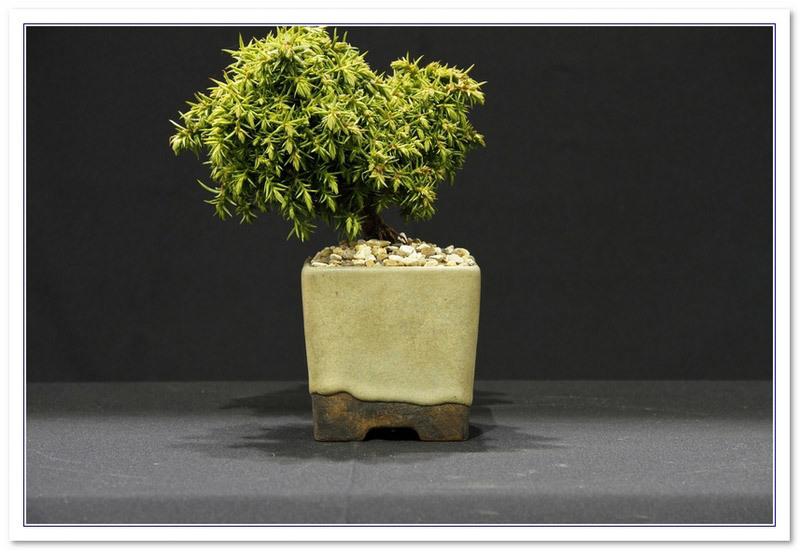 The organizers agreed, and donated the Peter Hayes Memorial Trophy to be awarded annually for the best bonsai in the show.The SBA also agreed to donate a trophy for the best SBA members tree in the competition. The initiative was a great success and has continued to grow in scale and stature and the display is in a very prominent location in the main floral marquee. The show is a great day out for everyone and if you can enter a tree into the competition even better. All SBA members welcome to come and see your National Collection, and enjoy some tasty bites. 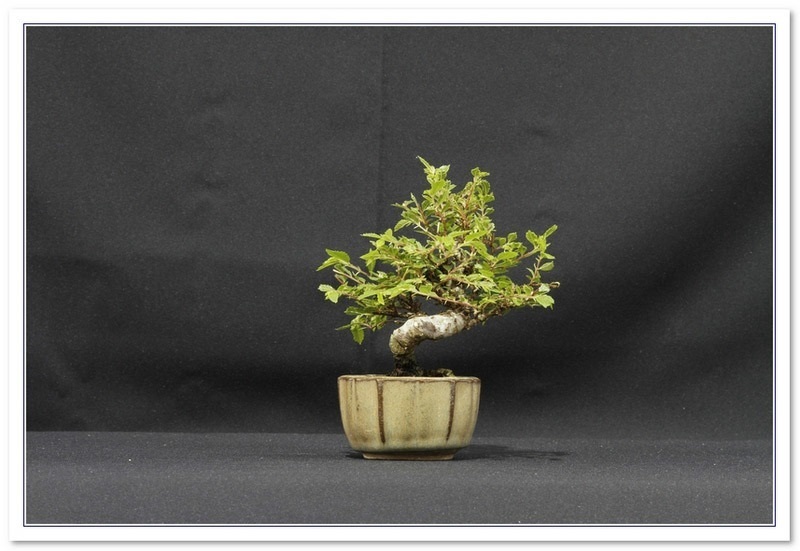 Dedicated to bonsai related quality accent items such as kusamono, kokedama, shitakusa, suiseki, hanging scrolls, mini bronze sculptures and other figurines, accent plants, accent pots, display tables etc. Scottish Bonsai Association bonsai, shohin & competition stands, National collection stand, and several other bonsai stands in the main hall. Display by each SBA local group of its members bonsai, shohin bonsai competition and bonsai traders stands. 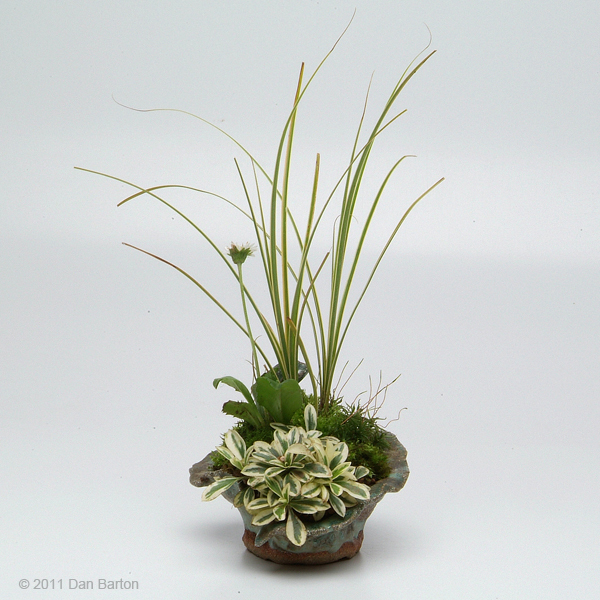 This is a Group two day Workshop with Rob Atkinson. We have 5 spaces left for the Saturday and 2 spaces for the Sunday. The cost is 20pounds per day. Ever-popular annual workshop lead by Ian McDougall, and Peter Kleboe with a wide selection of his striking pots. Lunch provided, with tea & coffee available all day, observers welcome. Cost is 20 pounds per day for the workshop or 4 pounds 50 pence for an observer with lunch provided. Repotting workshop, who knows what the weather will have done by then, but I am sure there will be something that can be repotted. Bring your lunch, there may be some plastic pots, also bring your potting medium, nice and gritty! Come along to the blether and have a go at some carving, we all have bits of dead wood on trees that we haven't got round to finessing. Here's your chance to have a go, with supervision if needed. A local flower show with bonsai elements - a competition with four classes and a bonsai workshop of "Trees in Training" by the SBA West Lothian club. Bring along trees to work on or trees to talk about, and get some helpful advice. bring your lunch, tea and coffee provided. On Sunday the 11th. of August 2013 in the Alloway Village Hall Alloway. we are holding a one day show open to the public. doors open at 1000 and the show will end at 1600. Refreshments will be available and a workshop will be in progress throughout the day and some items will be on sale. Two club cups will be awarded by the result of a visitors choice vote. 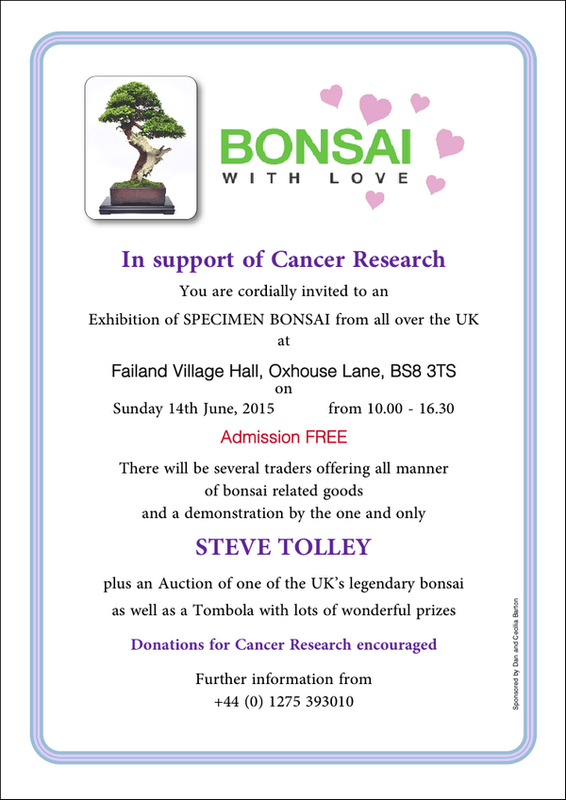 All are welcome, so come along and have a blether with your Bonsai Pals. 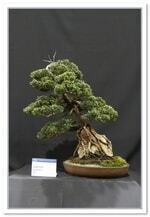 The Bonsai display at Ayr flower show continues to grow in scale and stature. For 1- 5 entries, at a total cost of just 6 pounds, you get a one day pass to the show worth 14 pounds. The background information may also be of use. The Ayrshire Bonsai Group has supported the Ayr flower show for many years, by staging a large bonsai display. 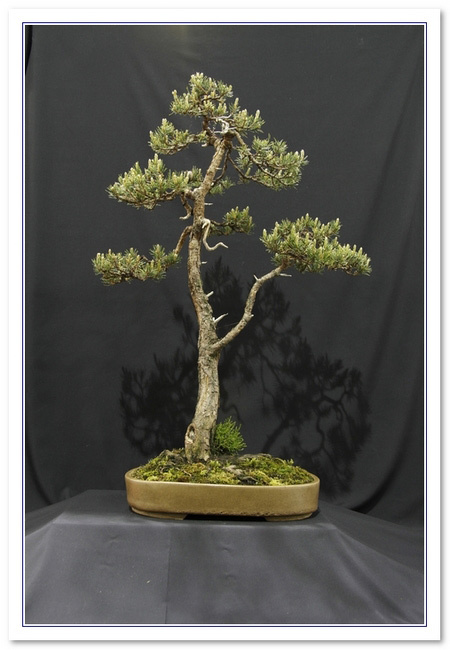 In 2010, a small group of SBA members, persuaded the organizers to introduce some bonsai classes, in which our trees could be displayed in the manner used at the bigger English and European shows. 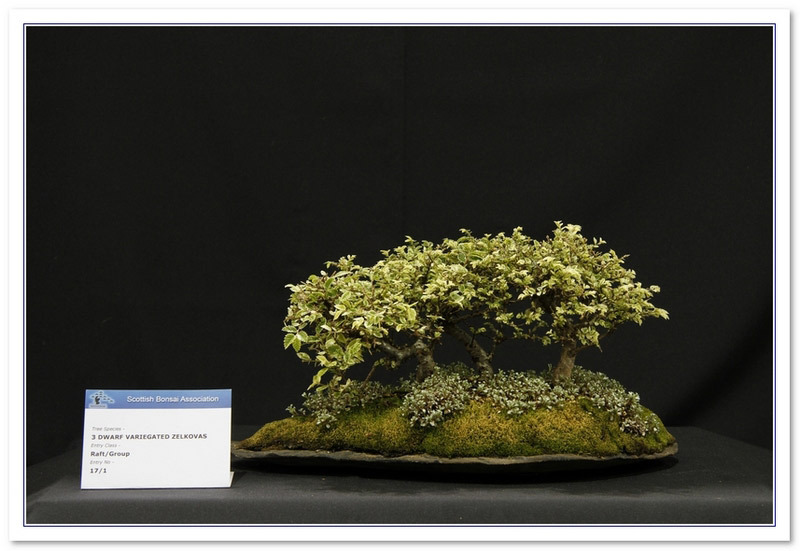 The organizers agreed, and donated the Peter Hayes Memorial Trophy to be awarded annually for the best bonsai in the show.The SBA also agreed to donate a trophy for the best SBA members tree in the competition. The initiative was a great success and has continued to grow in scale and stature and the display is in a very prominent location in the main floral marquee. The show is a great day out for everyone and if you can enter a tree into the competition even better. Scottish Bonsai Association area groups bonsai displays, shohin competition and bonsai trees, pots & materials for sale. All welcome, parking in Asda car-park behind the town hall. 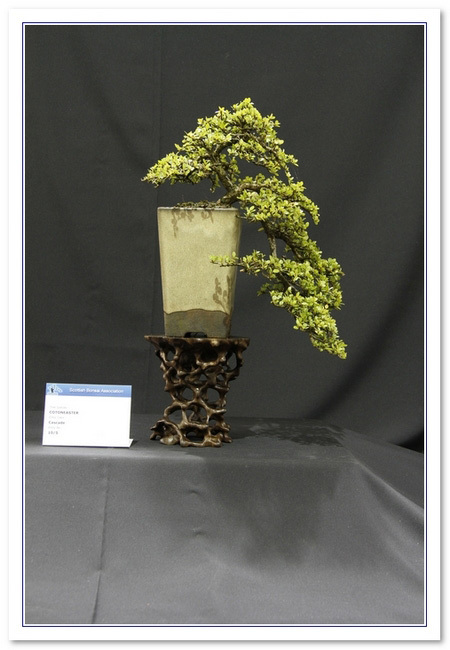 To see pictures from previous years click on Image Gallery and select National Exhibition 2012 etc. 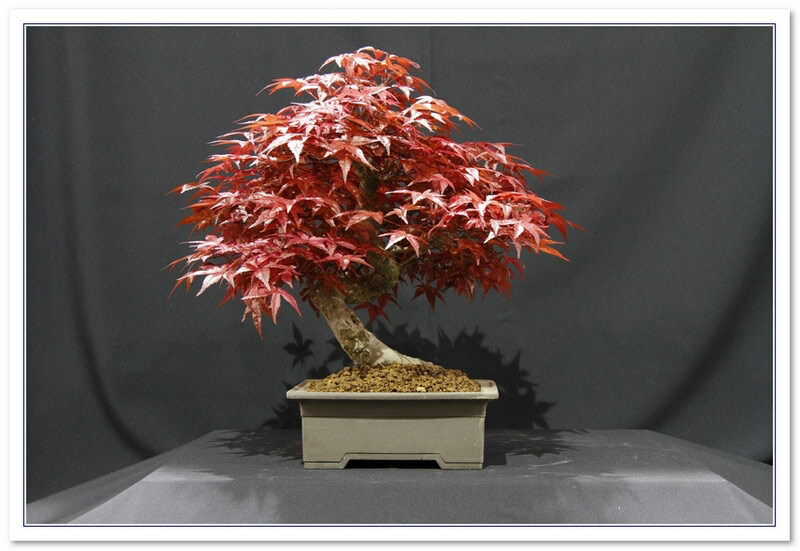 The A to Z of Bonsai Terms is a unique compendium of everything to do with bonsai. 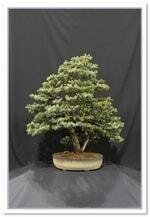 From Tree styles to Bonsai Dealers anything which has anything to do with bonsai can be added to the database. This is an ongoing project from the SBA allowing users to add new items or even challenge existing items if they wish to be more specific for existing terms. 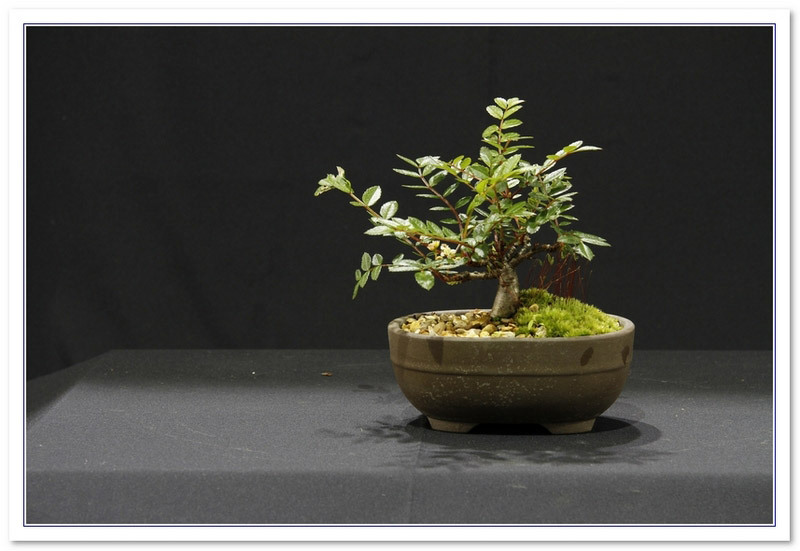 A national open event dedicated to smaller bonsai. Mame, Shohin, Chuhin. 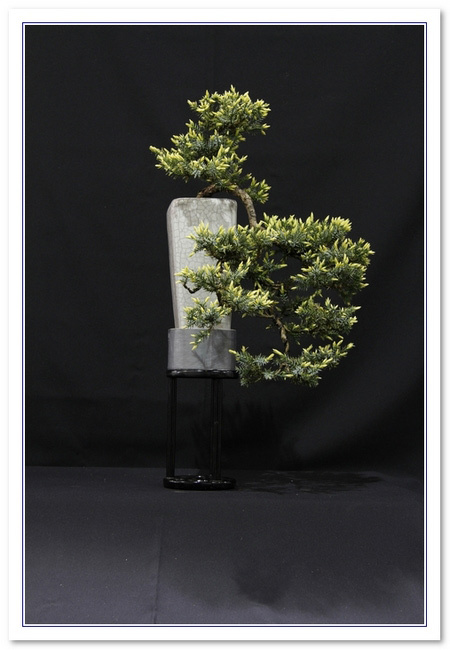 The event will be led this year by Ian McDougall from the Ayr Bonsai Group. Peter Kleboe from Catrine Pottery will be there with a selection of his own unique pots. After last years successful dig the SBA have been invited back to take more trees out of the ground (in a bid to return the moss to its original state!) at Scotlands National Nature Reserve in Flanders Moss. Some of the Yamadori is really high quality so If you want to join the SBA and come along contact Roy. One of the Scottish Bonsai Association's premier events of the year. 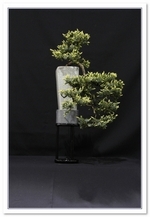 More than 300 bonsai trees on display in the main hall alongside displays from the National Bonsai Collection. Bonsai dealers and other bonsai clubs are also present. National Collection Workday events will be held on the 4th Sunday every month. Everyone is welcome, members and non-members. 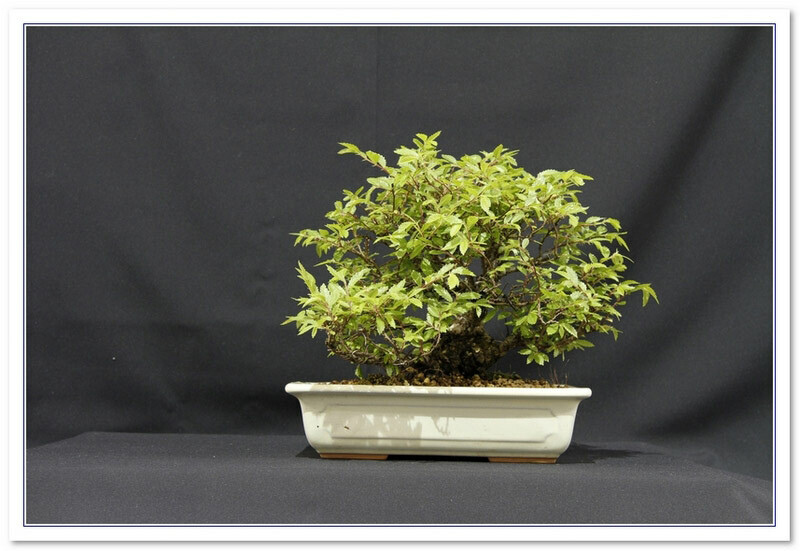 Come along and help keep Scotlands National Bonsai Collection in tip top condition whether you are a member or not. 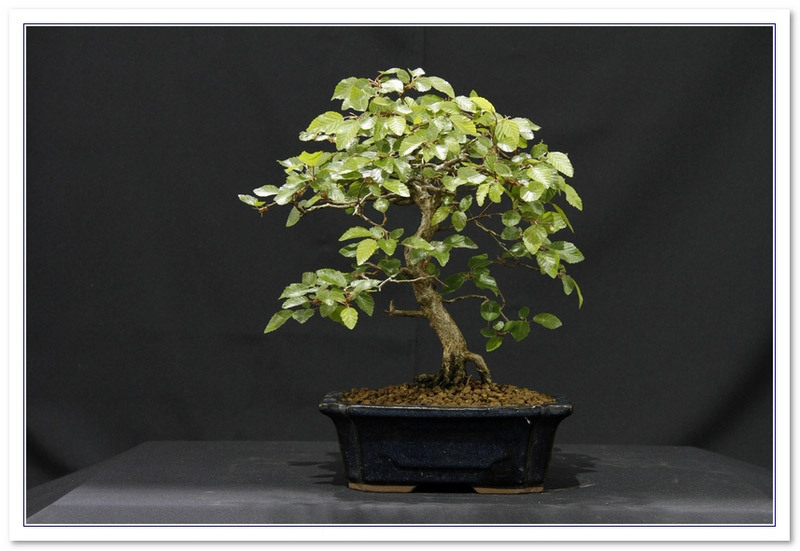 You do not have to know anything about bonsai to add value to the collection - just be willing. 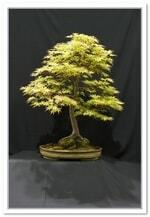 Scottish Bonsai Association group bonsai displays, shohin competition and bonsai trees, pots & materials for sale. All welcome,refreshments available. 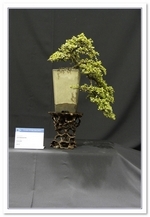 To see pictures from 2011 click on Image Gallery and select National Exhibition 2010 and 2011. Entries for the bonsai stand have to be submitted by the 27th July and in practice the trees have to be staged on the evening of Thursday 2nd August. 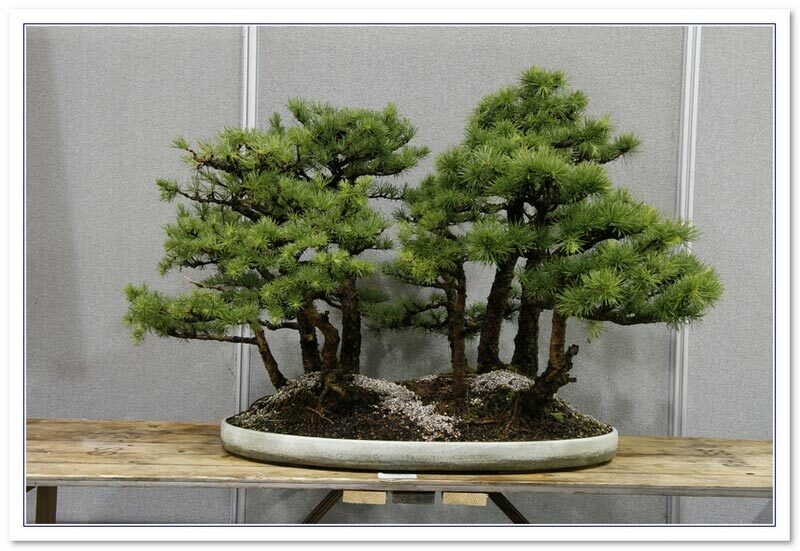 A member of the West Lothian Group has volunteered to take some trees to the show. Contact Kenny. 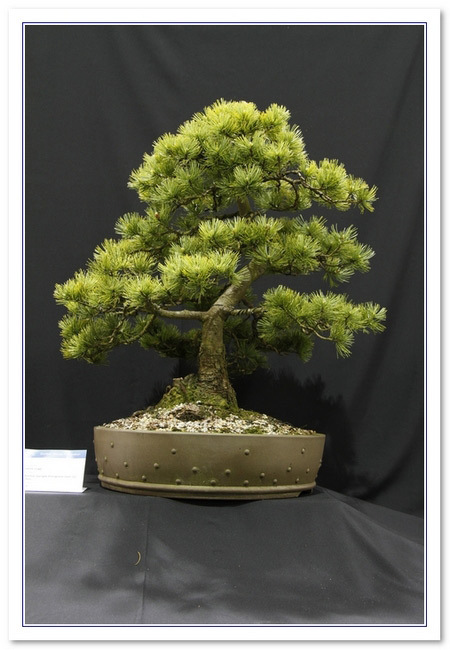 A great opportunity to win two Gardening Scotland tickets for new members when you join the Scottish Bonsai Association. Simply join during April 2012 and be entered into the free draw. 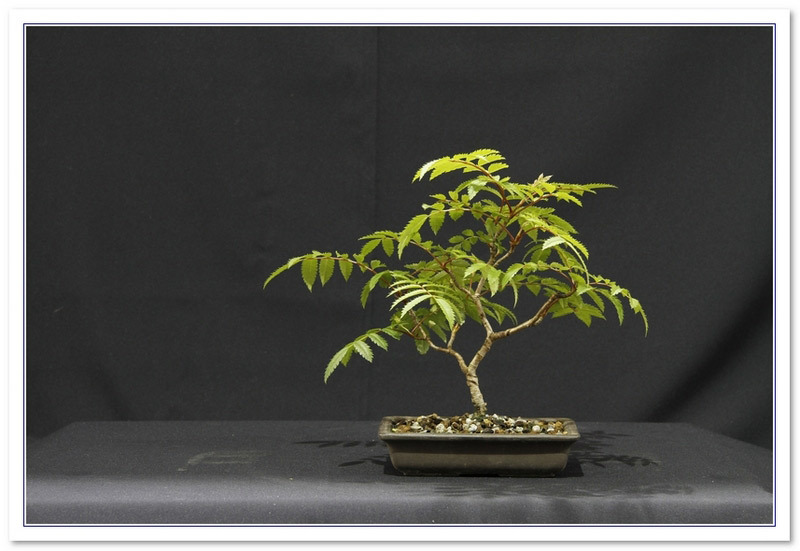 National Bonsai Collection Scotland this year will introduce a small, simple Suiseki display at Gardening Scotland with a view to increasing awareness and interest and to gauge support for a future competition. Members whoâ€™d like to contribute an example or two to the table are welcome. 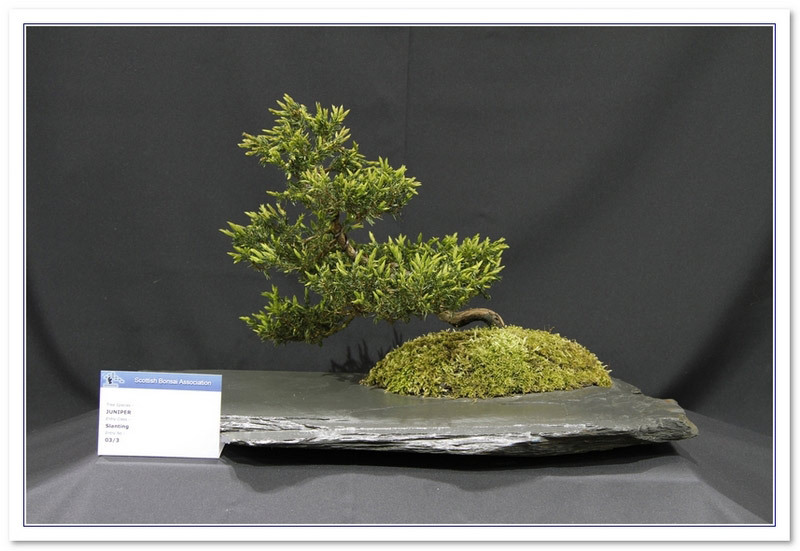 One of the Scottish Bonsai Association's premier events of the year. 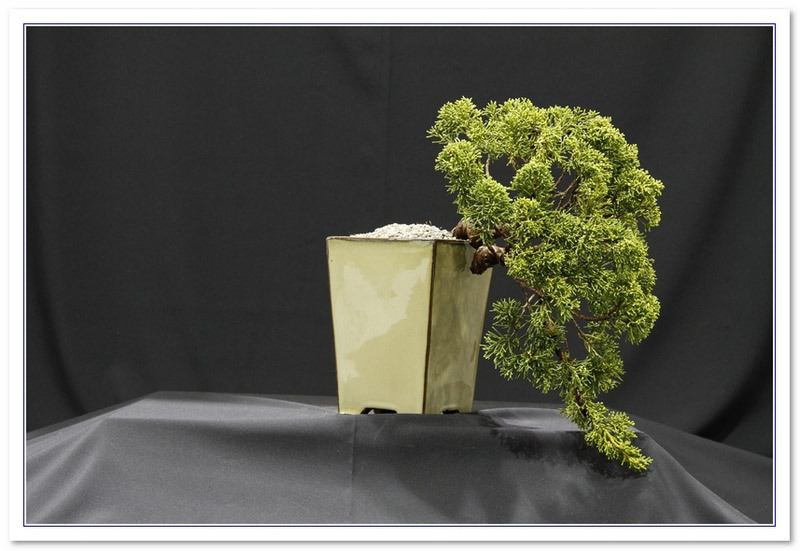 More than 300 bonsai trees on display alongside displays from the National Bonsai Collection. 1) Maintenance by the trustees of the National Collection Pavilion and its trees. 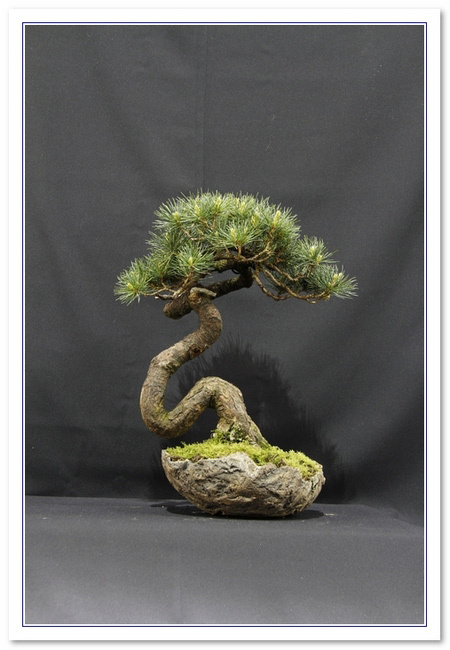 2) Opportunities for practical public demonstrations and hands-on workshops on styling and care of bonsai from starters to more mature trees. These will be led by experienced trustees and carers and will be suitable for beginners and the more experienced alike. All of these will be open to the public free of charge although trees will be available for sale at low cost for participants. Light refreshments will be available. Fankerton Village Hall, Fankerton, Denny. 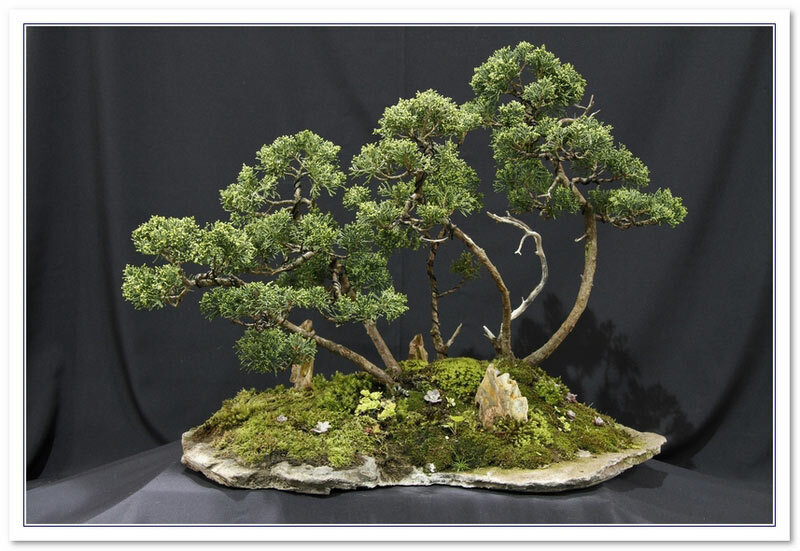 The annual bonsai workshop hosted by the SBA Forth Valley Group, this year led by Peter Foele of Alba Bonsai which we throw open to all interested parties on both the Saturday and the Sunday. There are only a few spaces left for this Year's event which starts at 10.am each day and ends at 4.30-5pm. At a cost of 22.00 pounds per day for a workshop place you can enjoy unlimited tea or coffee plus a soup and snack lunch as well as tuition on your chosen tree. For those who are less experienced or perhaps just want to watch, listen and learn there is an observers price of 4.50 pounds per day which also includes lunch etc. If you have more than one tree and can't make up your mind why not bring the subjects you have chosen and decide along with your tutor which is the best choice for that day. 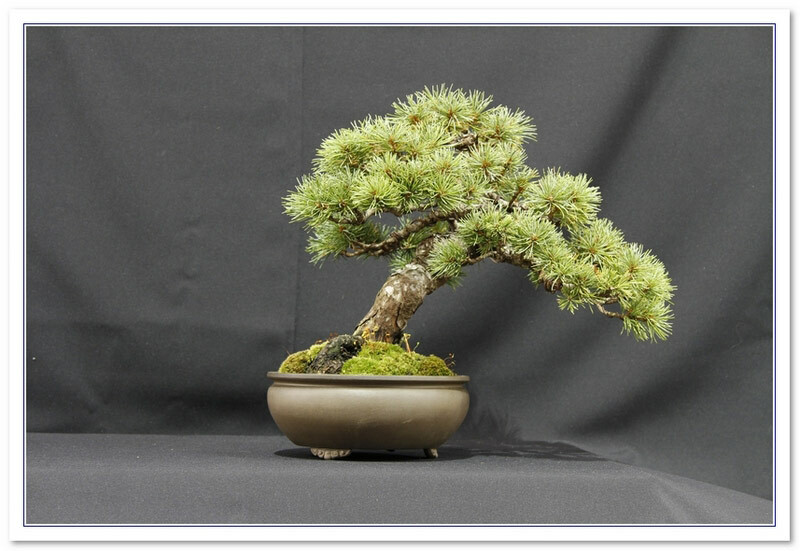 Richard Reah from North of England Bonsai will be on hand with his usual selection of bonsai pots, potting medium and tools etc. allowing you to make some of those essential purchases. This is a great fun day spending some quality time learning a little more about bonsai and meeting like minded bonsai enthusiasts. Come along to the Re-potting Blether, and re-pot! Bring your own potting medium, there will be Club wire available, as well as tea, coffee and biscuits (maybe even cake). If you need some help, we can oblige, whether with advice or practical assistance. Steve Tolley Weekend workshop. Bring your trees and work on them with an experienced bonsai practitioner. DUE TO ILLNESS A FEW PLACES ARE AVAILABLE. 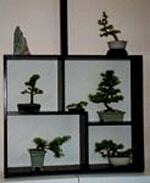 Scottish Bonsai Association group bonsai displays, shohin competition and bonsai trees, pots & materials for sale. All welcome,refreshments available. All welcome to contribute trees, suggestions and general chat. Japanese Consul General Tarahara will open the new pavilion housing the National Collection of Scottish bonsai. 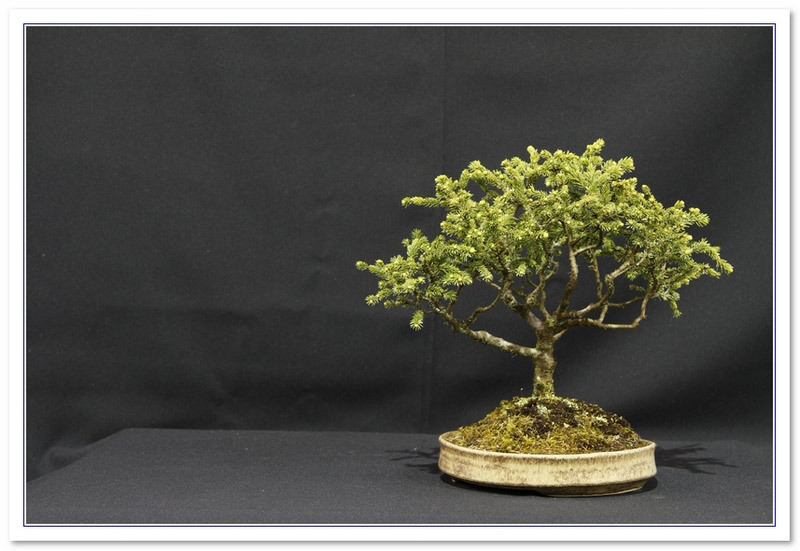 Scottish Bonsai Association members competition for trees in many classes. Apart from the Ayr Group Show Stand we are holding an OPEN competitive section for all enthusiasts to show their trees. This is intended for Quality trees rather than Quantity, but there will be a beginners section. The Judge will be Ian MacDougal, and apart from the usual prize monies, the S.B.A. Ayr Flower Show Cup will be awarded to the best S.B.A. memberâ€™s tree. Also the Peter Hayes Memorial Trophy will be awarded for best in show to all who enter. British Shohin Association annual meeting: displays, workshops and talks. Visit by members of the Edinburgh and Penicuik groups.